Richard Paul is not only one of the leading theoreticians in Critical Thinking; he is also a distinguished teacher. Both his workshops and his classes are designed to foster intensive intellectual engagement of every student in every class. In this three-day workshop, you will learn how to design instruction in the Paulian manner. First, you will be taught by Richard Paul for six hours (just as any student in his class would be), during which Paul will make clear how he is making strategic teaching decisions each step along the way. Then he will help you design the first 10 class sessions of any given class you teach (in the manner he would teach it, were he you). As a result, you will experience firsthand being taught in the Paulian manner---and thus feel the power of being intensively intellectually stimulated. He will demonstrate how to devise ways of teaching class sessions that progressively build on each other. Paul’s teaching strategies reflect insights implicit in successful Oxford tutorials and Cambridge supervisions. Of course, they are adapted to much larger student numbers (than that of the Oxford don teaching one or two students) and to students, on the whole, significantly less advanced. As part of the process, Paul will model the art of teaching critical reading, writing, and speaking. This three-day intensive workshop provides opportunities for new or returning participants to spend several days thinking through one essential idea (or set of ideas), working that idea into their thinking, applying that idea within multiple contexts. This workshop is designed primarily for educators and administrators, but is useful for anyone interested in the topic. This workshop is one of two workshops for educators hosted by the Foundation for Critical Thinking February 29-March 2, 2008. We encourage educators to attend our workshops in groups, since critical thinking is more likely to take root when approached systematically across the institution. Therefore we offer group rates for attendance at either of these two workshops. Group rates will be offered during the online registration process. Please note that group rates apply to those choosing either of the two workshops: "On Richard Paul's Teaching Design" or "Ethical Reasoning." We now have a room block at the Hilton Garden Inn San Francisco/Oakland Bay Bridge. Our group rate is $133.00/ night. This block rate is being held until February 25, 2008. They are located at 1800 Powell Street, Emeryville, California, USA 94608. Please visit their website for information about their facilities, or call them directly at 1-510-658-9300. (February 28-March 2, 2008). Then, click the "GO" icon. 3. Please scroll down to the bottom page. Under "Group/Convention" code, please type in "FTC," and click "CONTINUE." 4. Please select your room type, and click "CONTINUE." 5. Then, enter your information and method of payment. A confirmation number will be given to you, and you're all set! Thank you and we look forward to having you as our guest. NOTE:  Please make your reservation on or before the cut-off date (February 25, 2008). 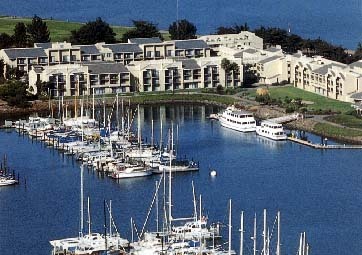 The DoubleTree Hotel in Berkeley, California is located on the water, overlooking the San Francisco Bay. 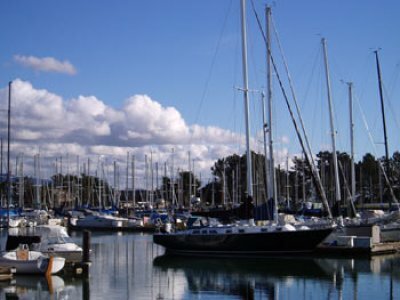 The Berkeley Marina is ideal for conferences looking for a unique and serene location in the heart of a major metropolitan center. Conference Rate $124 per night during the workshop. This rate includes a full breakfast buffet everyday of the preconference and conference (including beverage and gratuity). This rate is available until February 11, 2008. Call the Berkeley DoubleTree Directly at 510.548.7920 . Ask for the "Critical Thinking Room Block." The hotel has 370 spacious guest rooms, All with balconies or patios and many with views. All guestrooms offer high-speed internet access. The hotel offers the waterside Bay Grille Restaurant and Lounge. The hotel is pleased to offer the Discounted Group Rate of $124.00 per room, per night. Ask for the "Critical Thinking room Block" The hotel is pleased to offer the group rate through February 1st, 2008. This rate is for a standard room and does not include tax. Marina View upgrades are available for an additional charge of $20.00 per night, plus tax. In room coffee, two daily newspapers delivered, hair dryer and iron with ironing board. Stay in shape at the hotel’’s complimentary fitness center and miles of bayside running trails. Order Room Service, to round out the pampering! ( 2 ) Staffed state-of-the-art business centers with computers, high speed internet access, copier, fax, and phone. Complimentary parking for all attendees and guests! The hotel offers complimentary parking for all conference guests and attendees. The hotel offers complimentary use of its 2 indoor pools, and fitness center featuring a whirlpool, sauna, workout room and locker room. The hotel offers complimentary local shuttle to virtually anywhere in Berkeley including the Bay Area Rapid Transit station for easy access to San Francisco. The Center and Foundation for Critical Thinking have together hosted critical thinking academies and conferences for more than a quarter century. During that time, we have played a key role in defining, structuring, assessing, improving and advancing the principles and best practices of fair-minded critical thought in education and in society. Throughout our work we emphasize and argue for the importance of teaching for critical thinking in a strong, rather than a weak, sense. We are committed to a clear and "substantive" concept of critical thinking (rather than one that is ill-defined); a concept that interfaces well with the disciplines, that integrates critical with creative thinking, that emphasizes the affective as well as the cognitive dimension of critical thinking, that highlights intellectual standards and traits. We advocate a concept of critical thinking that organizes instruction in every subject area at every educational level, around it, on it, and through it. The academy will be led by Dr. Richard Paul, a Fellow of the Foundation for Critical Thinking.